I eventually got something working that is kind of cool. 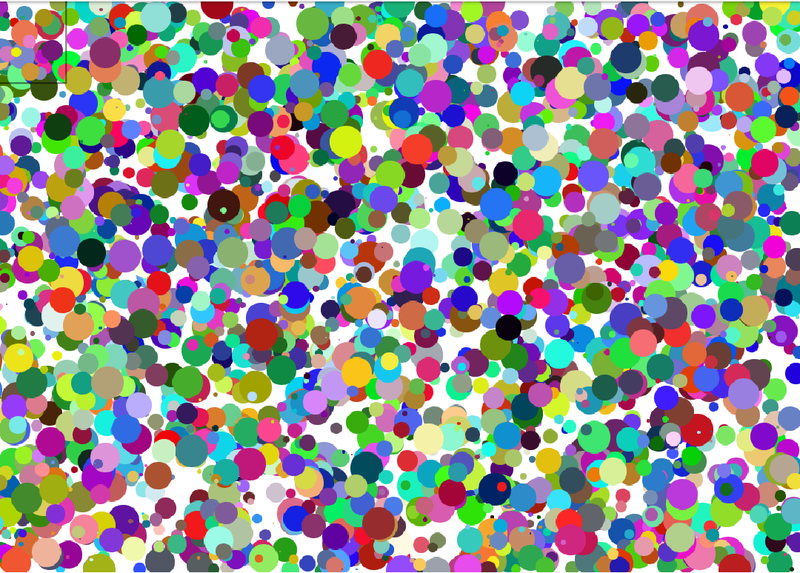 It draws random circles and changes colors based on colors that you click on. It is kind of cool, but the pictures don't look very good. They look like a bunch of confetti thrown on a page. I wanted it to look like a painting. More recently I went through a training course on Khan Academy called Natural Simulations. One of the topics covered was noise. More specifically Perlin noise. It just recently occurred to me that I could use noise to make my painting script look a lot better. 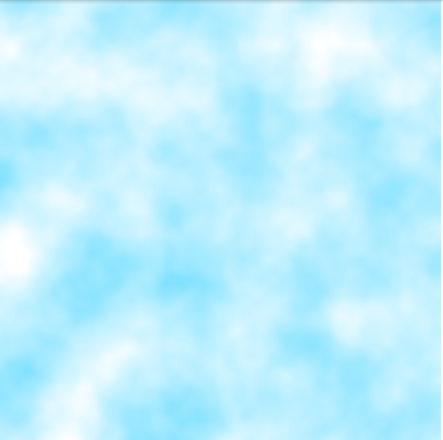 This is a picture of some clouds that I generated using one of the exercises in the course. I have started working on changing my old random drawing code to use some of these ideas from the course. Hopefully in the next couple of days I will have something working. I'll make another post when I do. Some Android applications use space on your Google Drive to store data. You can't see this data by browsing drive the normal way. You can get access to it if you get the access token from the app and do a few other things. I use an app to keep some notes and other things. They require getting the paid version of the app to backup your data. I wanted to see if I could get it myself without paying for the app. I found out how to do this from this Stackoverflow post http://stackoverflow.com/questions/22832104/see-hidden-app-data-in-google-drive. The example there uses php. Since I have been learning Python recently, I decided to see if I could do the same thing with Python. There is a pretty good explanation of why you need to go through all the steps you need to go through to get your data in the accepted answer for that post, so I won't go into too much detail about that here. This is a continuation of yesterdays post about the Broadlink RM2 wifi remote. I was able to test out using the codes to control my remote today. They are stored in JSON format in the broadlink backup file. The backup file is a zip file. After you extract it there is a folder named SharedData. There are several files in the folder. The one that seems to have all the codes is named jsonIrCode. The data looks like an array of objects, each with a code and some other information. This article will go over all the steps to setup an Angular site on GitHub pages. The site will use Angular's AOT compiling and be served from the docs folder of the repository. To start with you can follow the guide here to setup a new Angular project. Then you will need to setup a repository on Github.com. The name of the repository doesn't matter, this site will use the docs folder, not the specially named repository with USERNAME.github.io as the name. After that open up the project in your editor and open the .angular.cli.json file. Change the "outDir" to "docs". This is where the files will be created when you build the project. The contents of .angular.cli.json are shown below with all the changes discussed in the article.